Virtually all electrical devices generate heat in order to operate. In some cases this heat is unwanted such as energy lost in motors or printed circuits boards. For some cases heating of parts is desirable for heat treatment applications. Some examples include induction hardening and part forming. 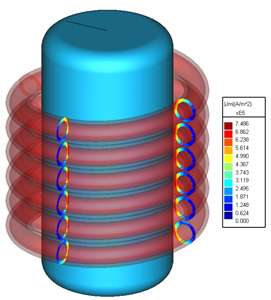 More recently the need for coupling magnetic, electric, and thermal fields has been addressed with the addition of software tools that deal with these multiphysics applications. 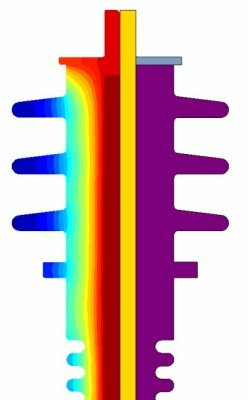 Thus heat generated by conduction loss or eddy currents can be the source for thermal analysis. Eddy Current heating produced by time varying magnetic fields can be either a primary design goal, or an undesirable side effect. 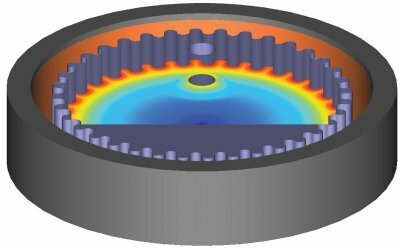 Predicting the temperature rise in conducting bodies is a challenging analysis problem requiring coupled electromagnetic and thermal field solutions. To handle these applications, INTEGRATED has developed INDUCTO. 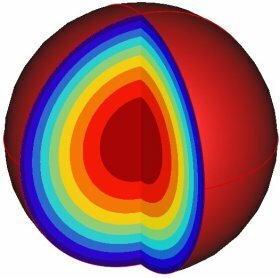 For systems that can be modeled as 2D or Rotationally Symmetric, the OERSTED eddy current and KELVIN thermal solvers are combined to form INDUCTO 2D. For systems that require a full 3D analysis, the FARADAY eddy current and CELSIUS thermal solvers are combined to form INDUCTO 3D.